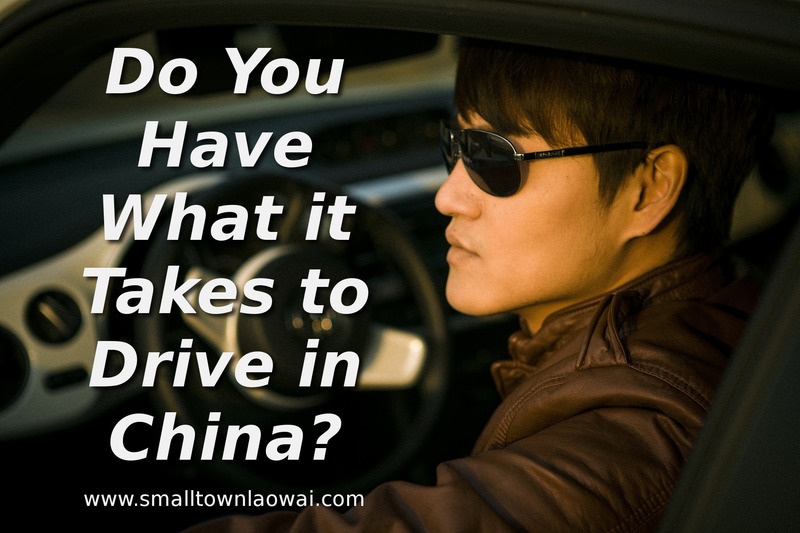 Do You Have What it Takes to Drive in China? 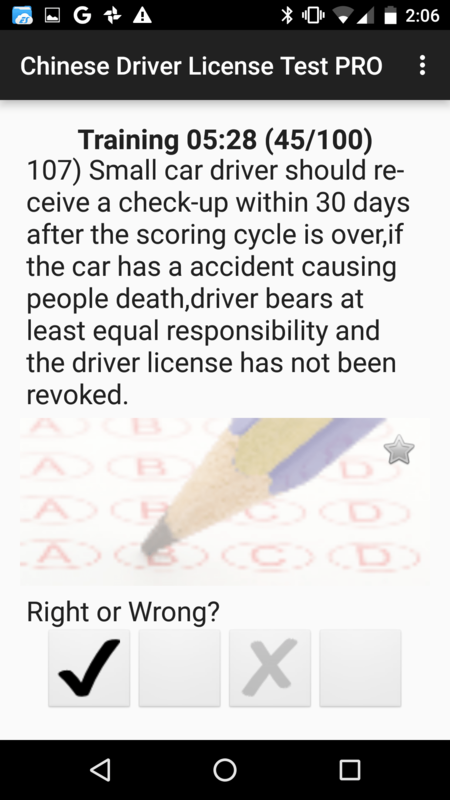 So, you think just because you have a driver’s license from your home country, it should be a piece of dangao to get your license in China? 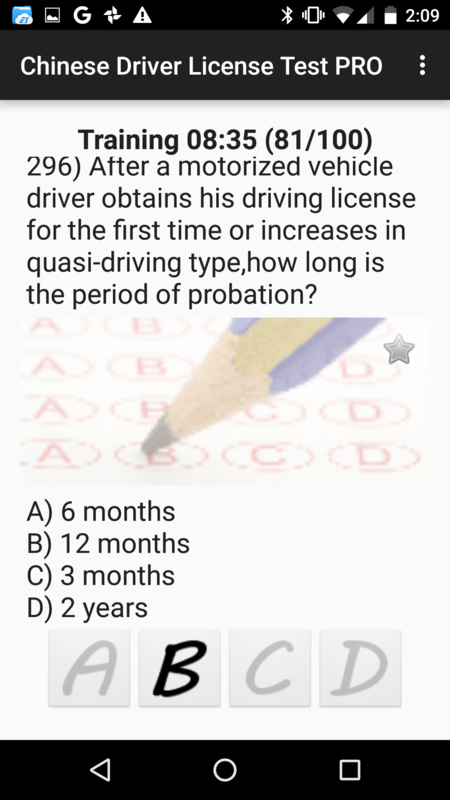 To get a driver’s license in China, foreigners must pass a written exam. Although it’s available in English, it’s notoriously tough. 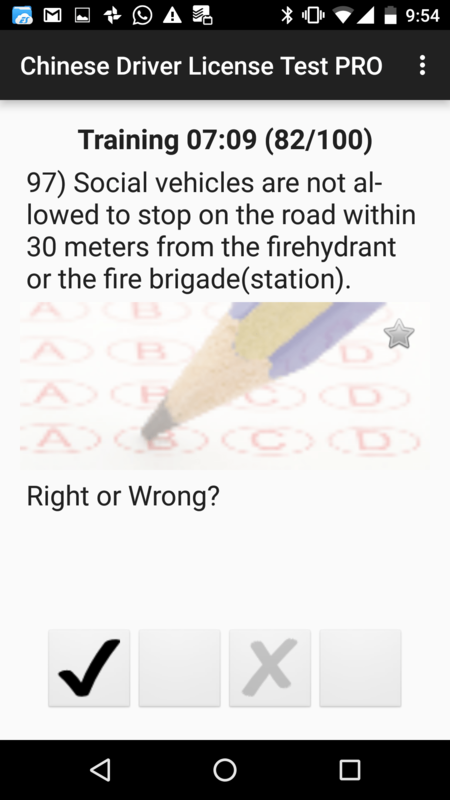 Most laowai study using a popular app which takes you through the 900 possible questions of the test. The idea is that you just memorize the answers to the questions rather than learning the logic behind the answers. 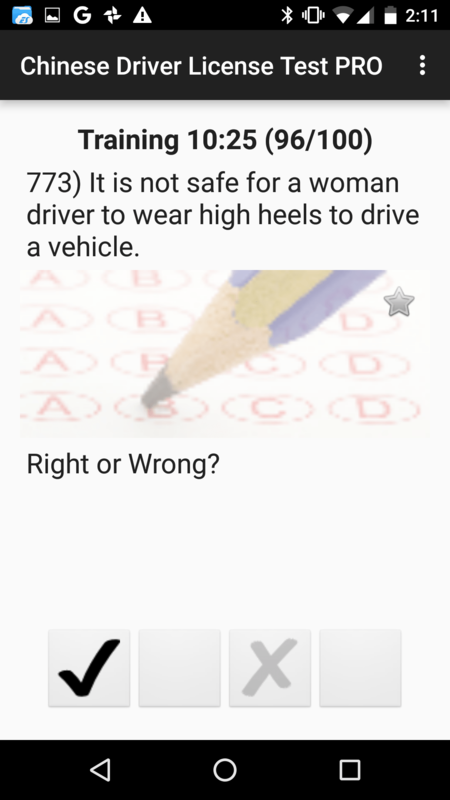 That seems like a strange method to prepare for a test until you see the questions and their associated answers. 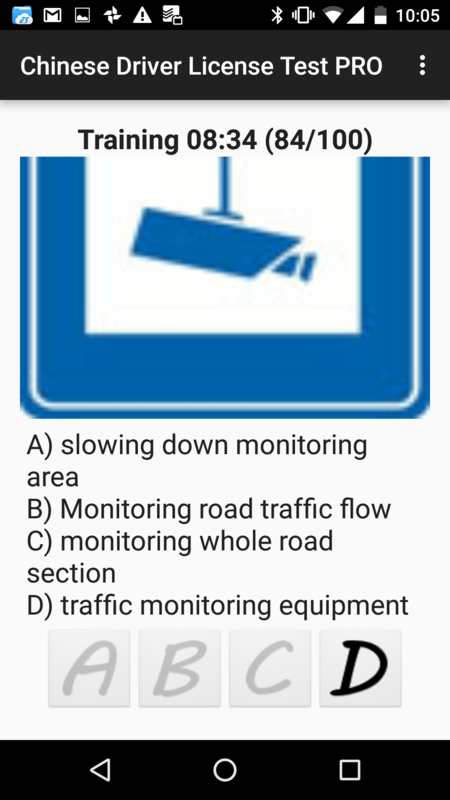 Here’s a small selection of questions that are particularly mind-numbing. Take a look and you’ll soon learn why you need to give up on reasoning things out and just stick with rote memorization. Easy-peasy! 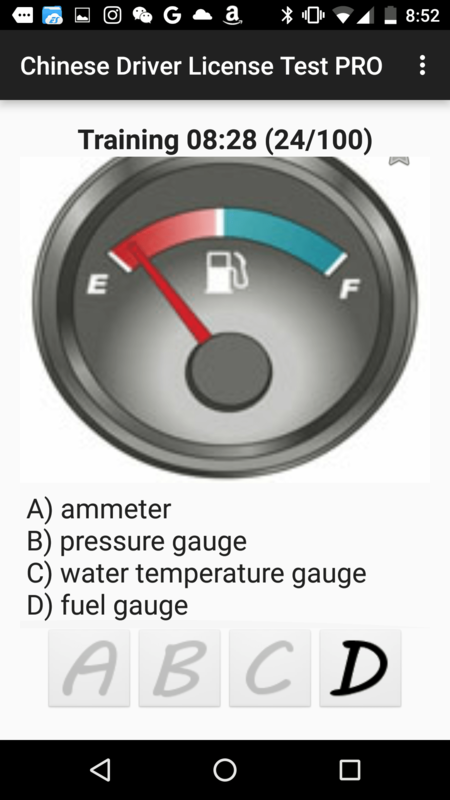 Wait, am I the only one finding it a bit disconcerting that they are testing drivers on gauges and vehicle parts? It doesn’t seem like you should have to study to know what those things are for. Oh well, I will just keep slam-dunking these questions. Driver’s license, here I come! Huh? 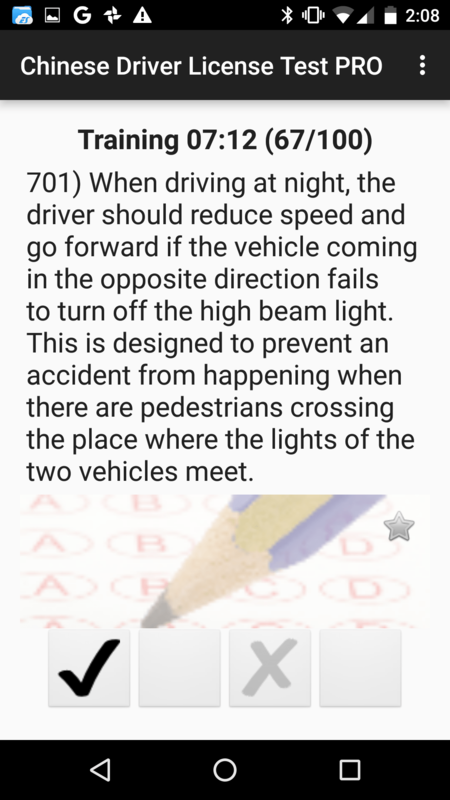 Are we talking about if it’s right or wrong to reduce speed, or are we talking about if it’s right or wrong that the reason behind reducing speed is so pedestrians in the crosswalk don’t get into the place where the beams of lights meet? 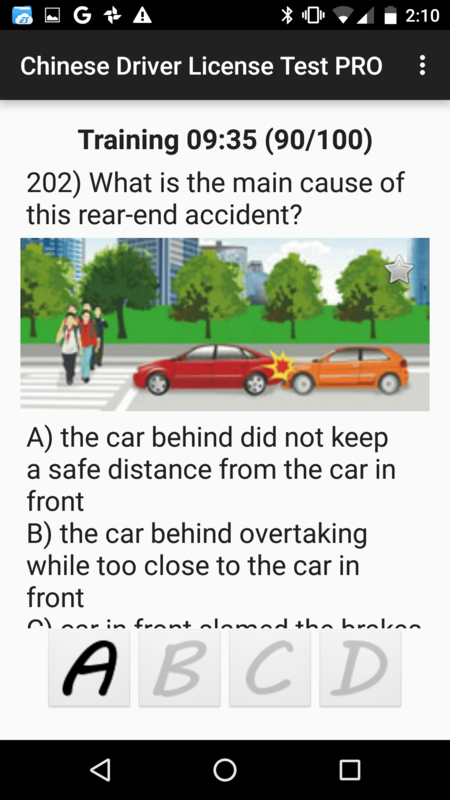 Because, honestly, I would be more concerned with the pedestrians being in the place where the vehicles meet. 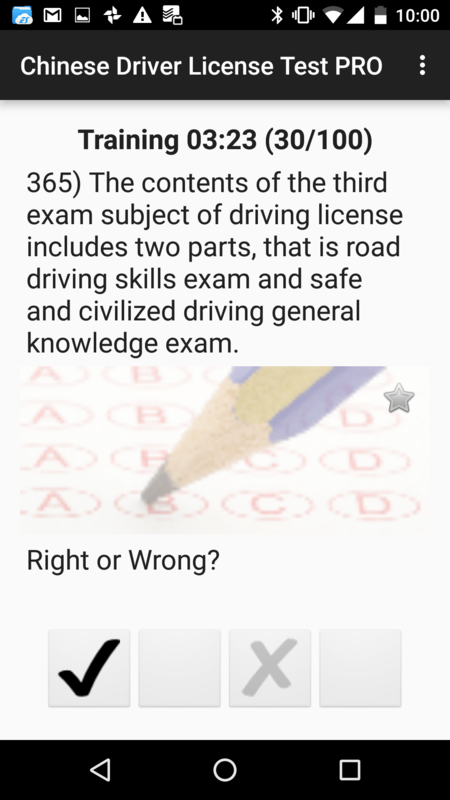 So… I’m taking a test about the test I am taking. There’s something deep going on here, and I half expect to discover John Cusack is inside a secret cabinet leading to my brain and will get trapped there for eternity if he doesn’t get out in time. I don’t know what’s real anymore. …and the right driving footwear. 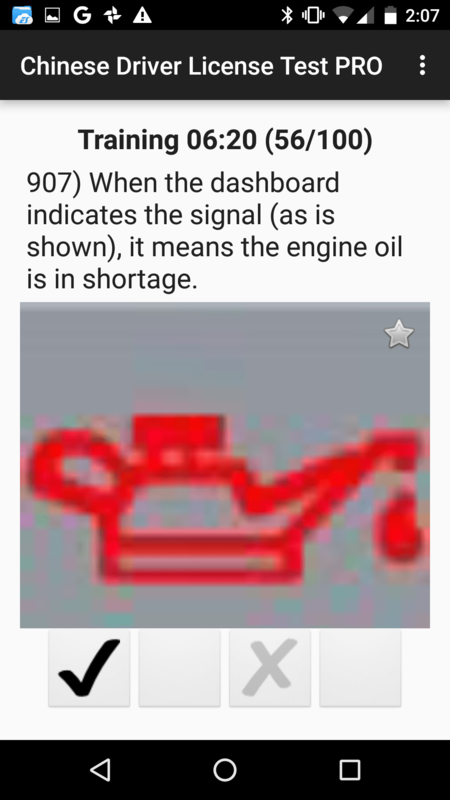 This is the type of information that should probably be in tiny print in a government manual somewhere for people to look up if they need to know it. 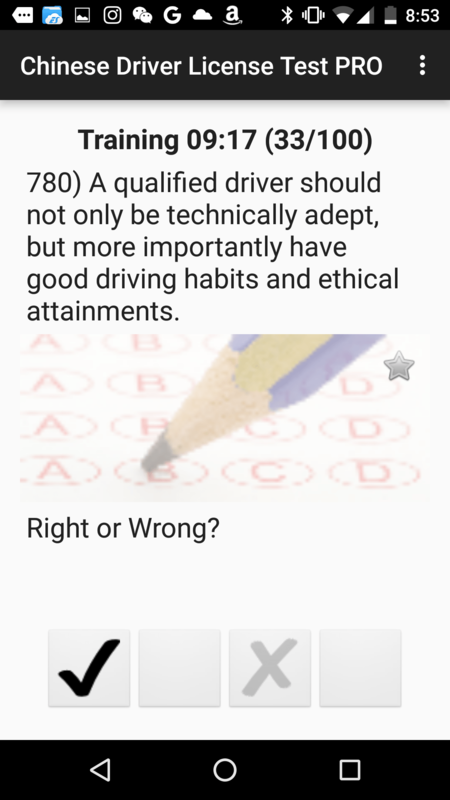 Instead, it’s part of the test. 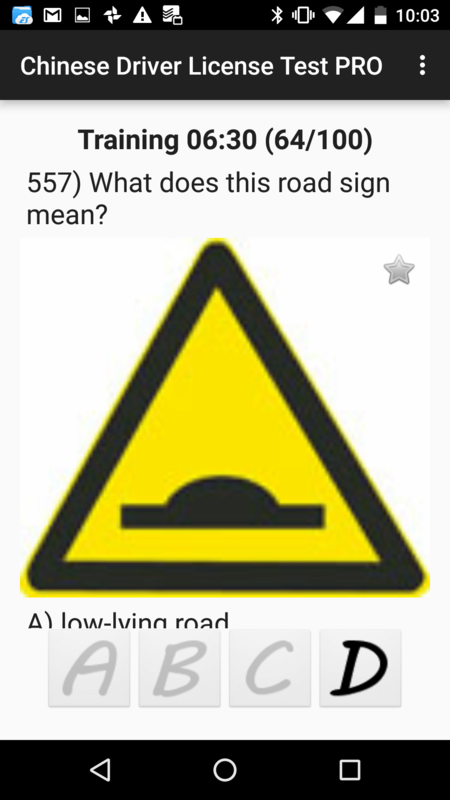 And there are a LOT of questions like this. 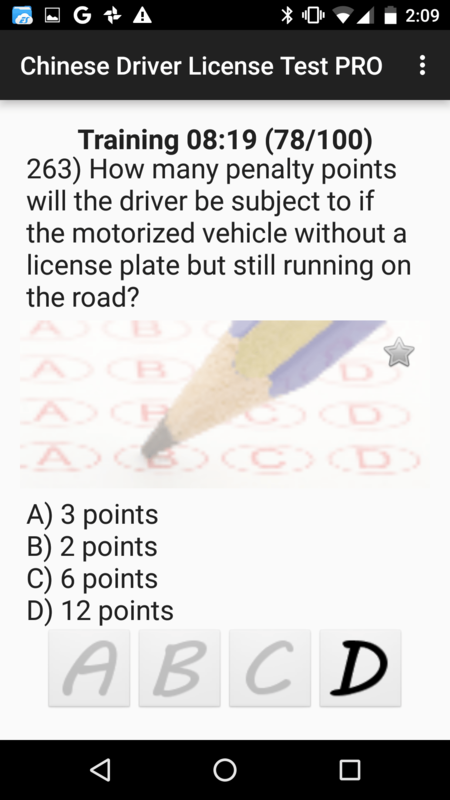 There are also plenty of questions about the points system, which is how you keep track of driving violations. 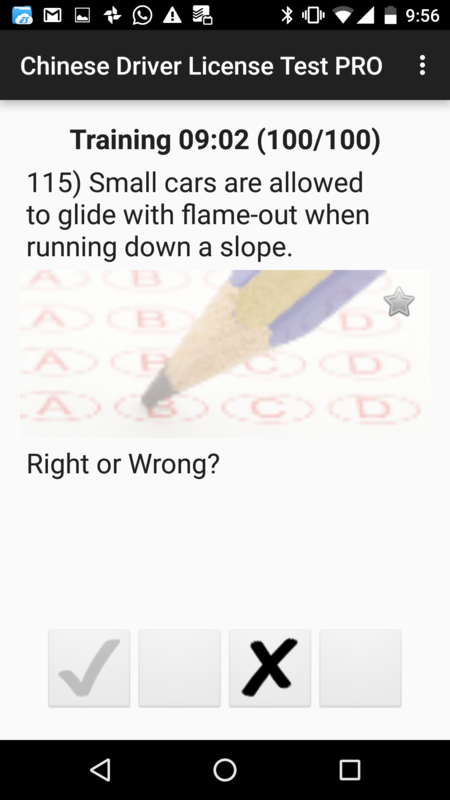 You get 12 points per year (oops, I just gave you the answer to one of the questions!) and you get points deducted when you break the law. 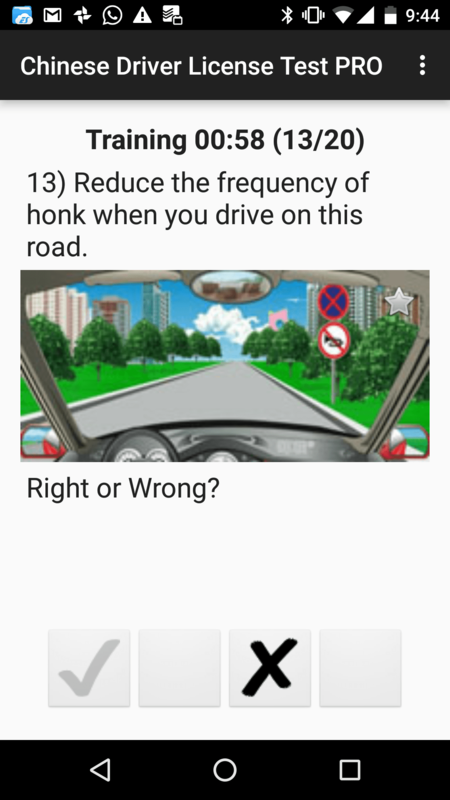 The gamification of driving, folks. But again, you’d think there could be a nice chart somewhere showing how many points per traffic violation. Instead, you need to memorize this stuff. 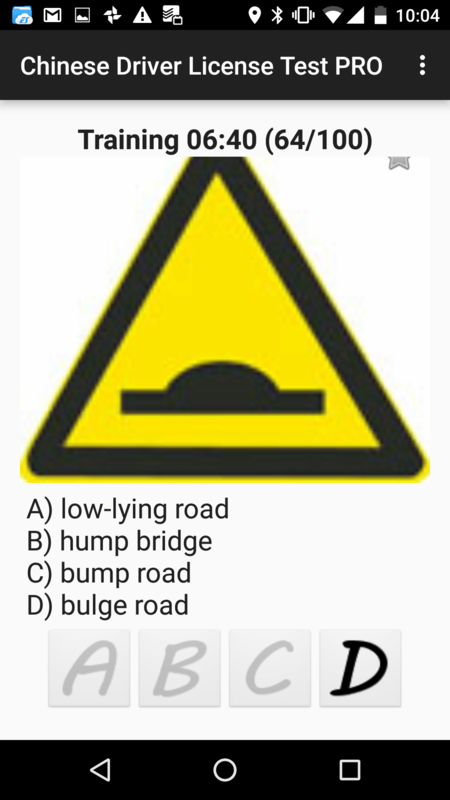 Alright, it’s finally time to get to the meat of the test: road signs, speed limits, traffic lights, lane markings, and all the other fun you’ll encounter when you’re actually out there driving. But even those questions are not straightforward. As mentioned above, it’s not that you learn the correct regulations first, then get tested on them. 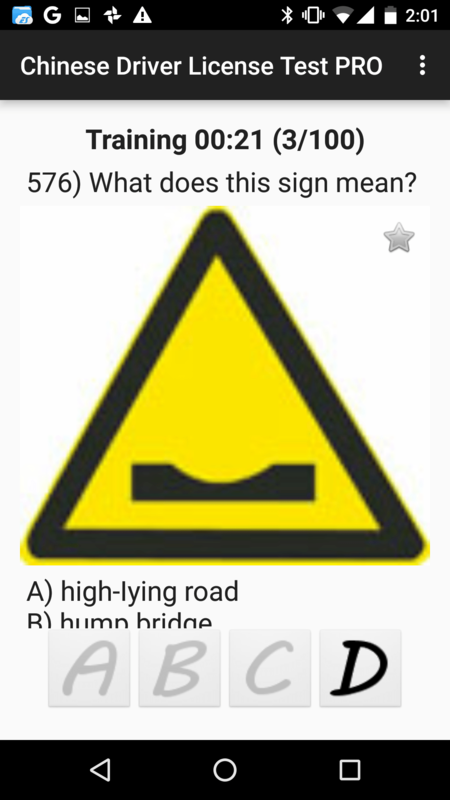 You need to memorize disembodied information, which sometimes leaves you wondering what the actual regulation behind the question is. Wrong. Why? I’m gonna guess you should INCREASE the frequency of honk so that any motorcycles waiting to pop out from behind those trees have fair warning that you’re coming. Clearly, you should never speed up and pass the intersection when it means you’ll go hurtling between a lighthouse and high-rise apartments over a green space that will lead to your watery death. How could you think that was okay? 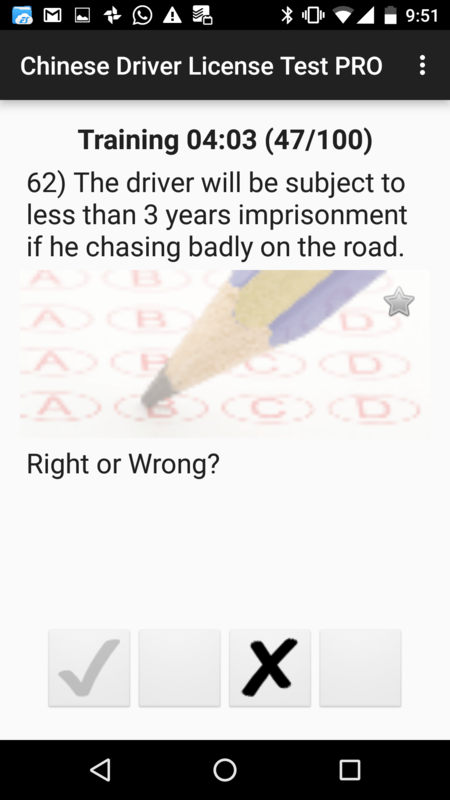 Only if the driver is chasing goodly will he or she be subject to three years’ imprisonment. Duh. So, which part of that sentence is incorrect? 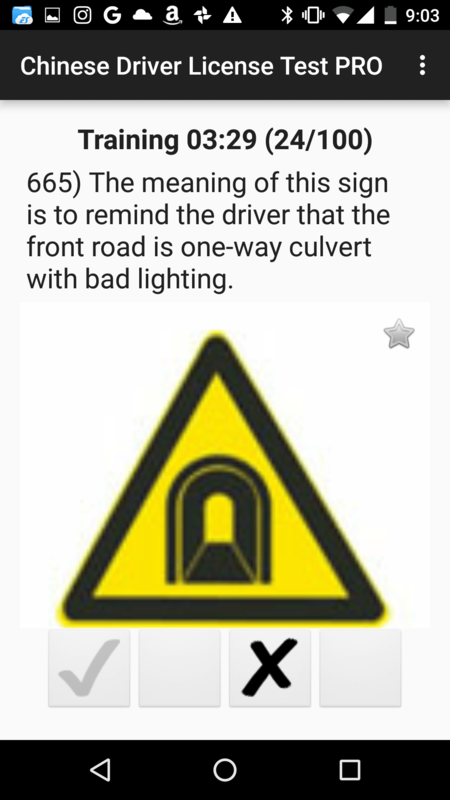 It’s a two-way culvert with bad lighting? It has good lighting? It’s not a culvert at all? It’s actually the original concept design for the Tardis? Help me out here. 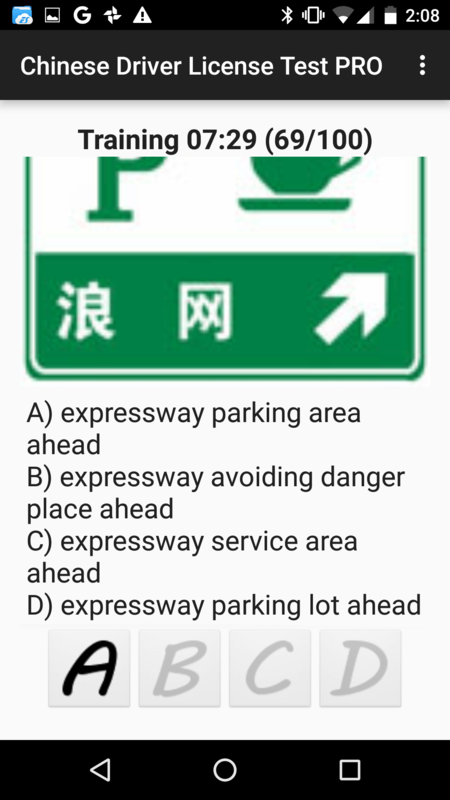 Do not rely on your China street smarts for this test. They will lead you astray. 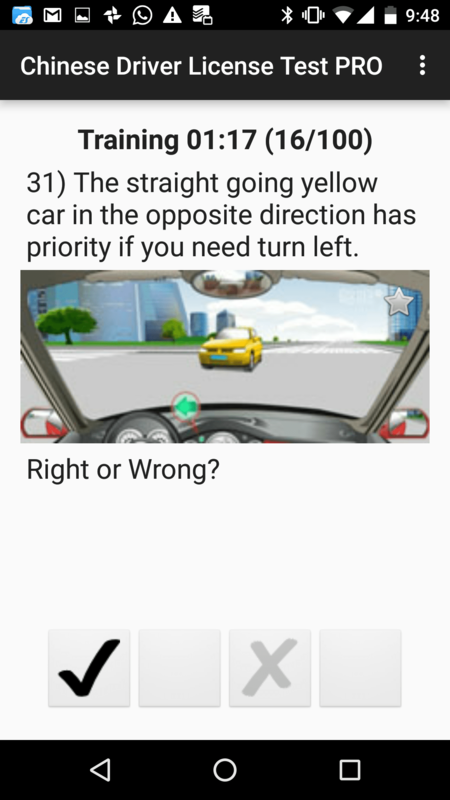 It turns out a lot of the practices of Chinese drivers in real life are – brace yourself – not legal. 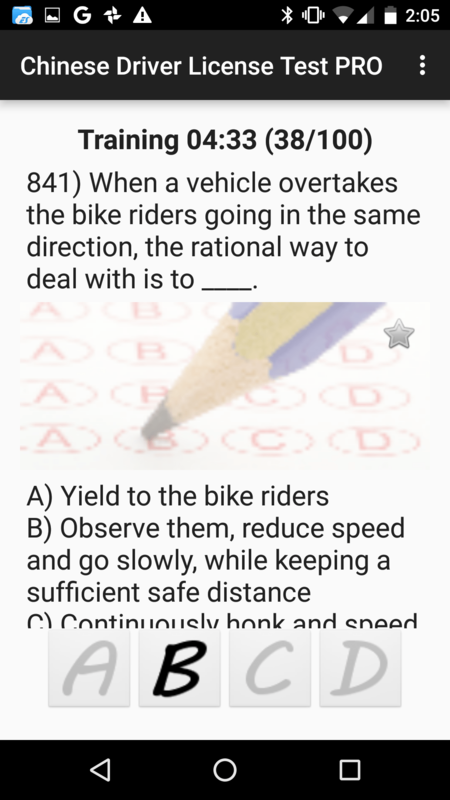 If we’re talking about rational, we’ve got to go with either C or D. Answer B wastes way too much time. You’re kidding, right? There are literally NO OTHER CARS in sight. In fact, there are no buildings, people, water buffalo, lighthouses, NOTHING. You own this intersection. If you “need turn left,” you can be on the grass if you so choose. You can make a left turn, right turn, U-turn, donuts, anything. You’re only limited by your imagination. If your logic circuit isn’t fried by now, it’s about to be. Oh, for crying out loud. 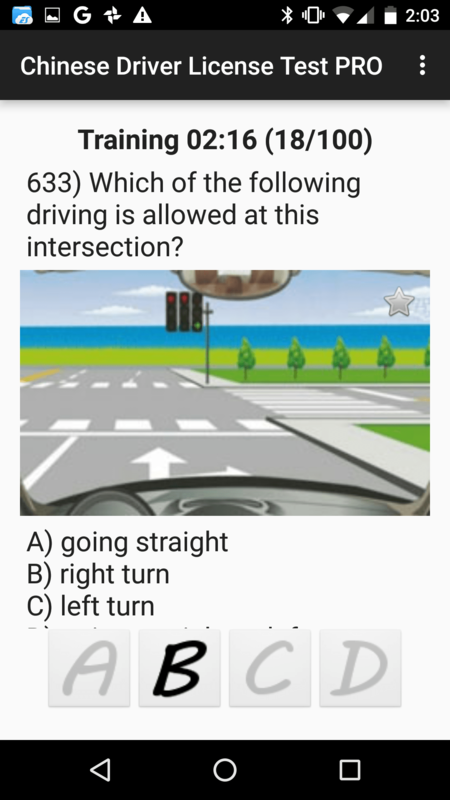 You are allowed to make a right turn or go straight at this intersection. Just not if the light is red. Or maybe this goes back to wanting to prevent anyone from zooming over a green patch to their watery death. Okay, okay, fine. 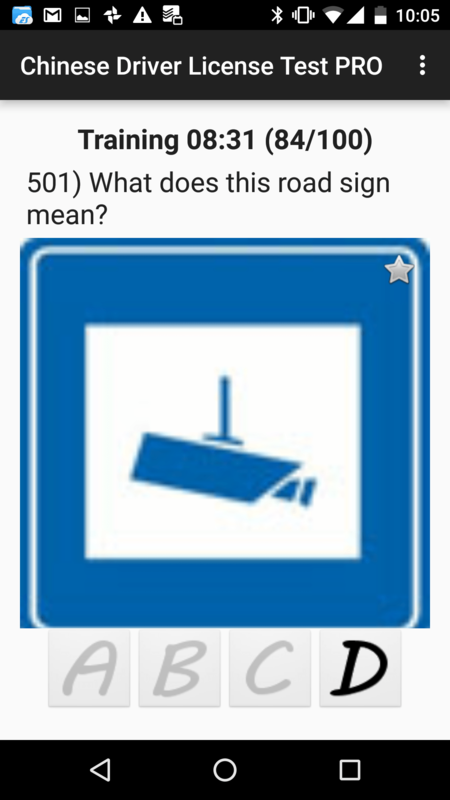 Just turn right. Safety first. “Parking lot” and “parking area” are different enough to warrant a question to tease them apart? Does that seem incredibly specific to anyone else??? 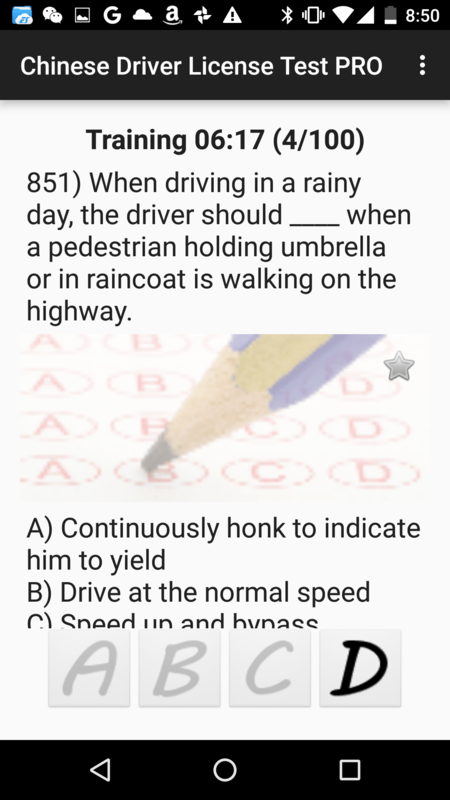 There is a separate set of rules for how to drive if there is a pedestrian with an umbrella/raincoat, rather than a pedestrian who is getting soaked in the downpour because they forgot an umbrella/raincoat? I’ve come to a realization: There is no way I’m getting this license. English grammar problems are at least a more comfortable territory for expats. Let’s power through these. I don’t even know what just happened in that sentence, but there was a “people death,” so, yeah, I can see that the driver probably needs a check-up. How many adjectives and adverbs are describing that car in the picture? Anyone want to take a stab at diagramming that beast of a sentence? 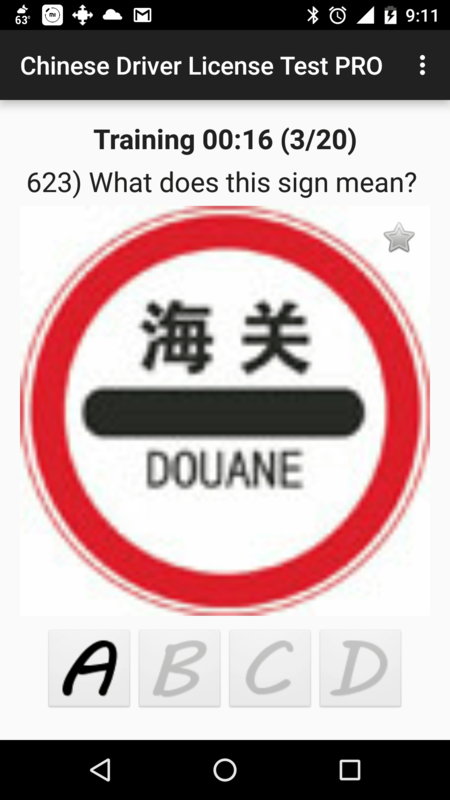 Supposedly Shakespeare was prolific at creating new English words in his plays such as “puking” and “skim milk.” I don’t want to stifle anyone’s creativity here, but I also don’t think the Chinese DMV is going to have as much success as The Bard at introducing new vocabulary items into the English language. We will just have to guess what their linguistic novelties mean. 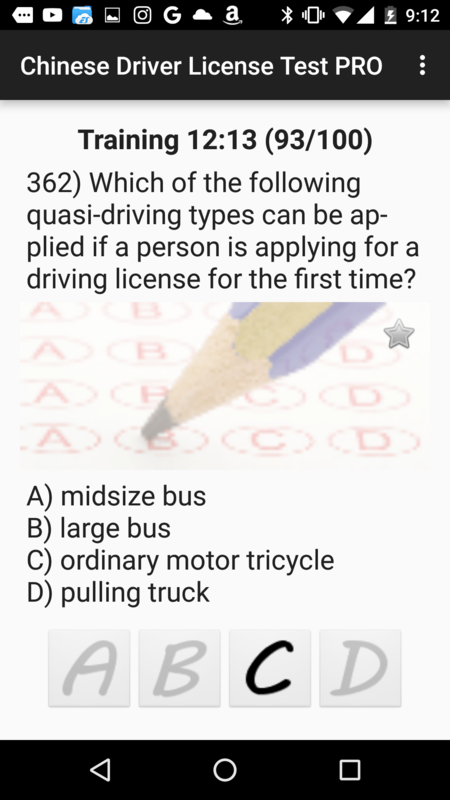 The next time I get on a midsize or large bus, I’m going to inform the driver that he’s not really driving, he’s only quasi-driving. That should go over well. Social vehicles. You know, ones that throw great parties and have over 10,000 followers on Twitter. Wrong. That is a “bulge road” after P90X. Attention all persons named Jess: I want you to know that you have your very own lanes in China. You don’t even have to reduce your transverse speed or longitudinal speed or anything. It’s just one of the perks of being a Jess. 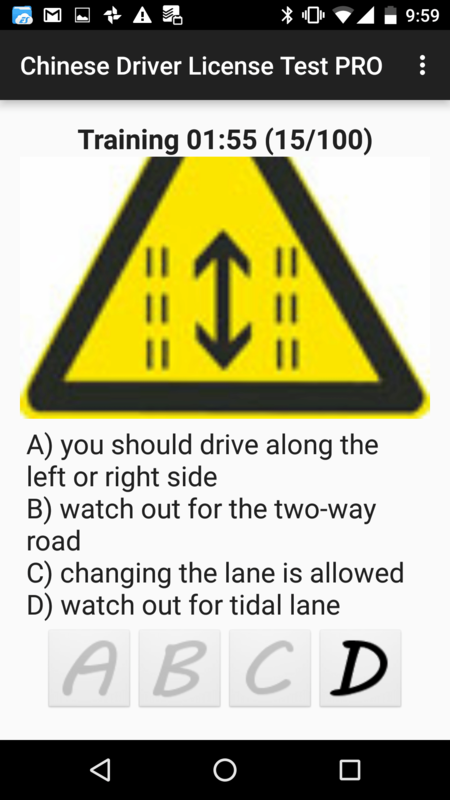 God forbid there ever being a tidal lane going through a decussation intersection. Those are the first two horsemen of the Apocalypse. Because, as everyone knows, only the Batmobile is allowed to glide with flame-out. Does your brain hurt yet? Buck up, buttercup, ‘cuz that was only 38 questions. 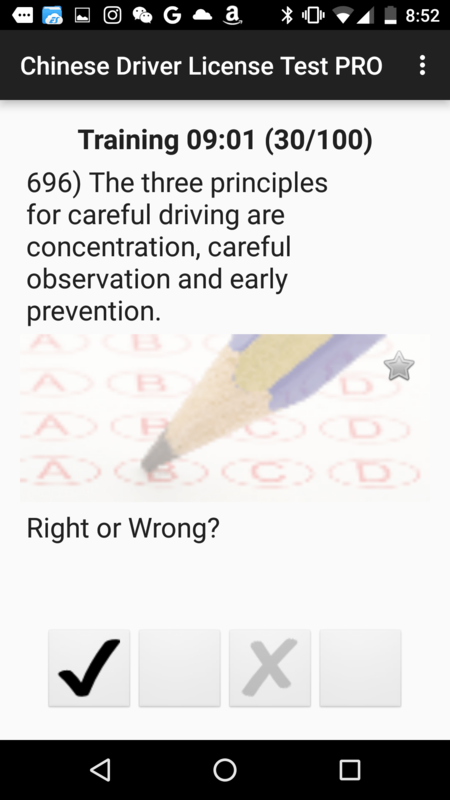 Only 862 more to study before you’re ready for the driving exam! Jia you! 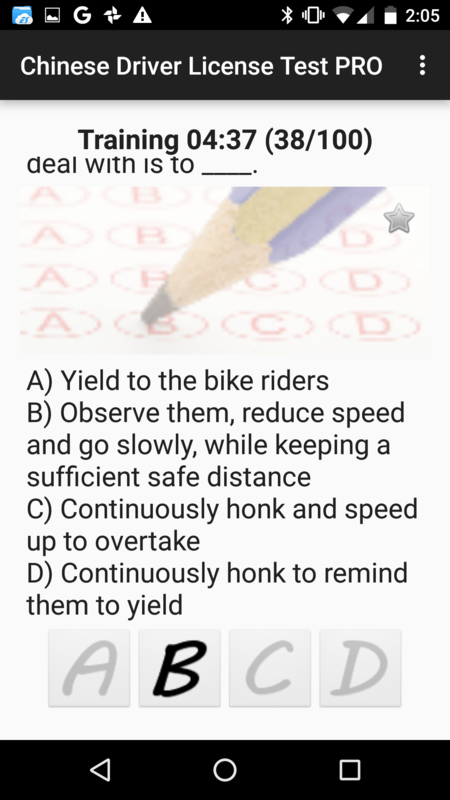 That’s why I drive an electric scooter… you can skip the test completely! Those are hilarious! Here in Western Africa, we can just use our US Driver’s License. I’m pretty sure 95% of the people on the roads have no driver’s license at all. It seems like in many countries, you’d be able to either use a U.S. license or an international license, but China is special. 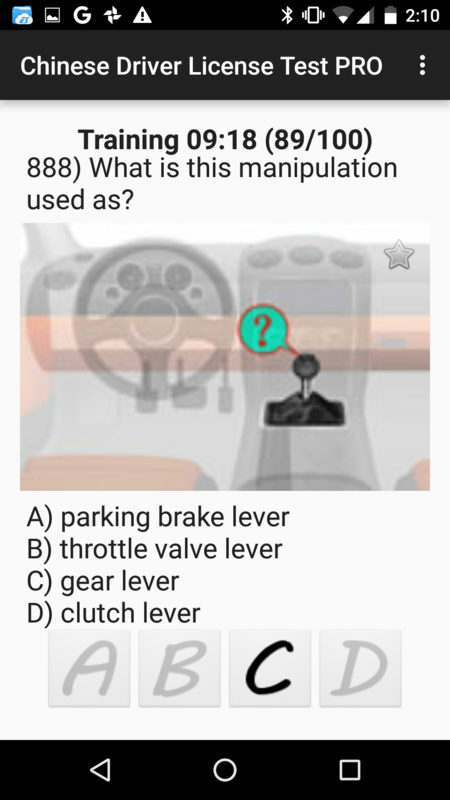 🙂 So, are the people driving cars without a license, or driving things like motorcycles and scooters? Technically, you need a license. 😉 I would say it’s more likely that people are driving motorcycles without than cars. We have smaller roads, and they are shared by things like donkey carts, which I see all the time driven by children. “Technically” and “in reality” are often two very different things. 😉 Well, enjoy dodging the cars, motorcycles, and donkey carts! Wow, Emily! No wonder I’ve had no desire to get a license. You had me REALLY laughing out loud! Thank you for a mid-week “pick me up”!! Thank you, Ashley! 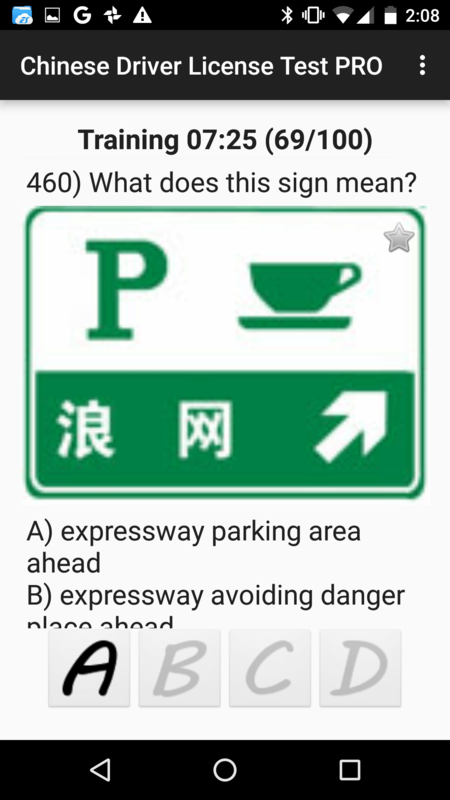 One of my local friends said she’s pretty sure the rules and regulations are available in Chinese so drivers can study those rather than just memorizing sets of Q&As. 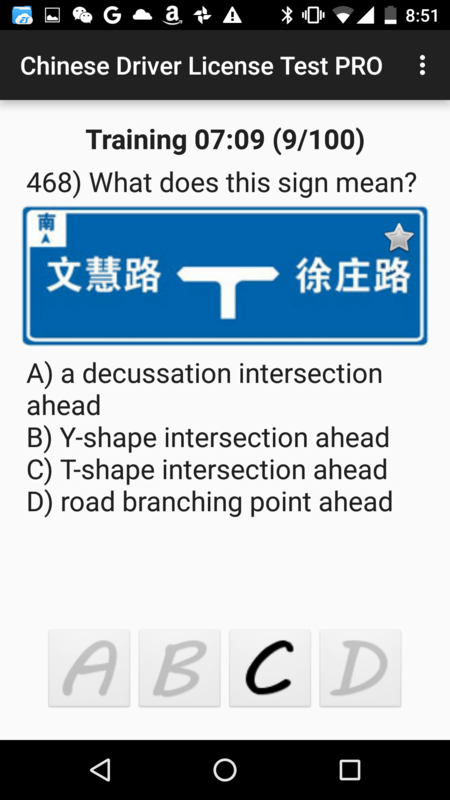 That might work for the Chinese version of the test, but you’d still be up a creek for the English version because of the weird translation (e.g. “parking lot” vs. “parking area.”) The good news is that I know quite a few people who have passed it without too much studying. Many of the questions are fine, it’s just that sprinkling of crazy ones that can throw you. 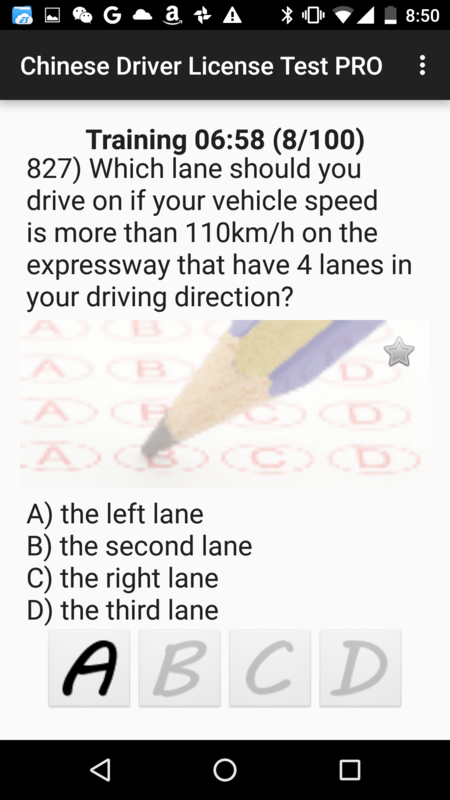 Best wishes for studying and getting your license! 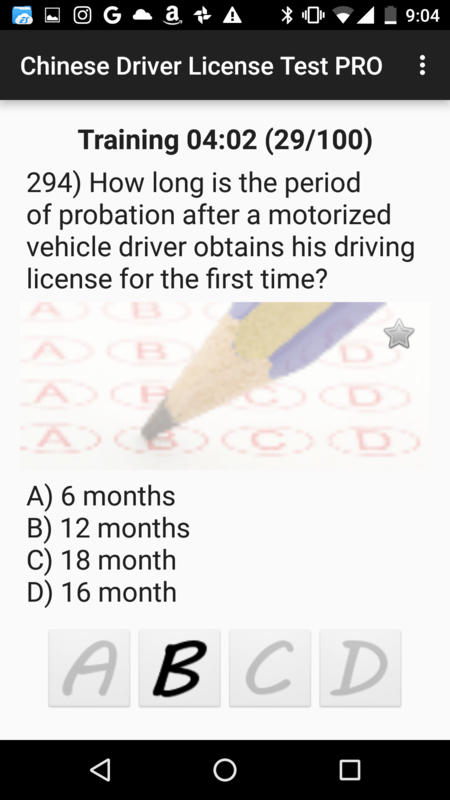 I am getting very concerned because even after taking the practice test 30 or 40 times, you have shared questions I haven’t seen! (Mostly about the test itself. And Jess.) 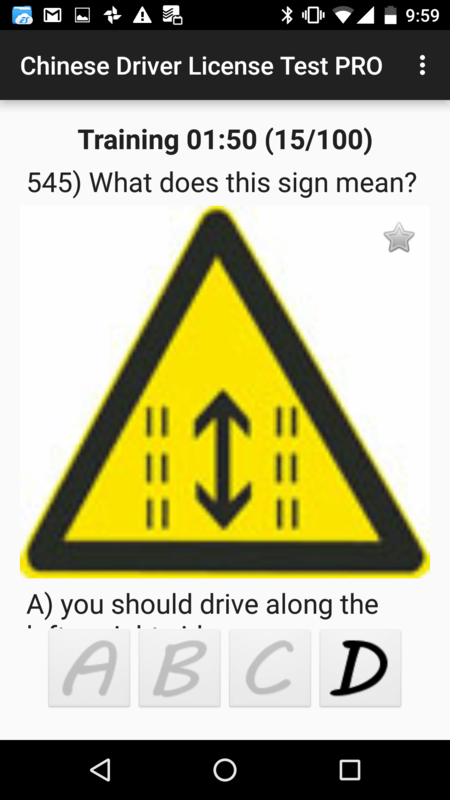 And seriously, when driving with a friend, she was very specific about which speed you had to drive in in each lane. 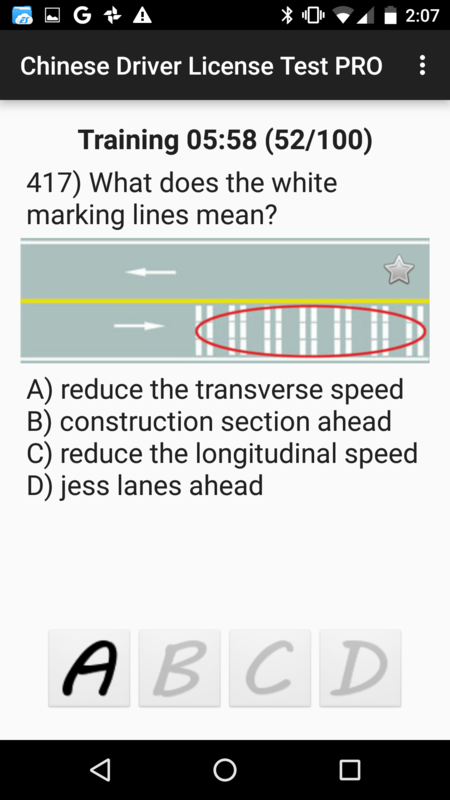 No concept of the left lane as a passing lane. 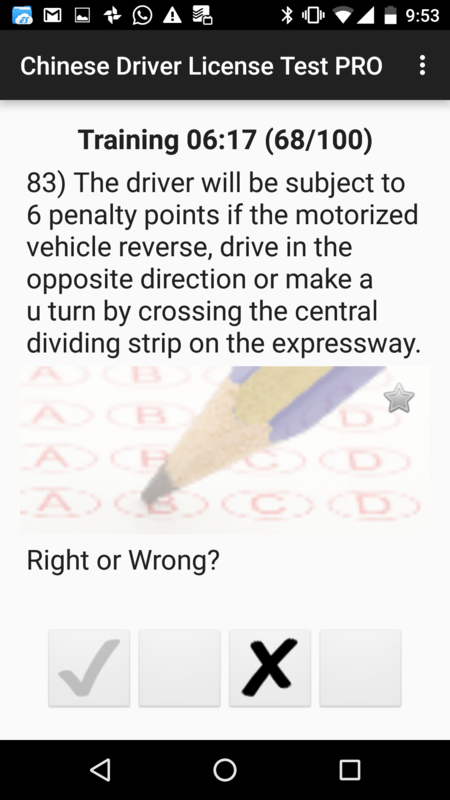 I hope you pass! I may also have a version that is not the most up-to-date. 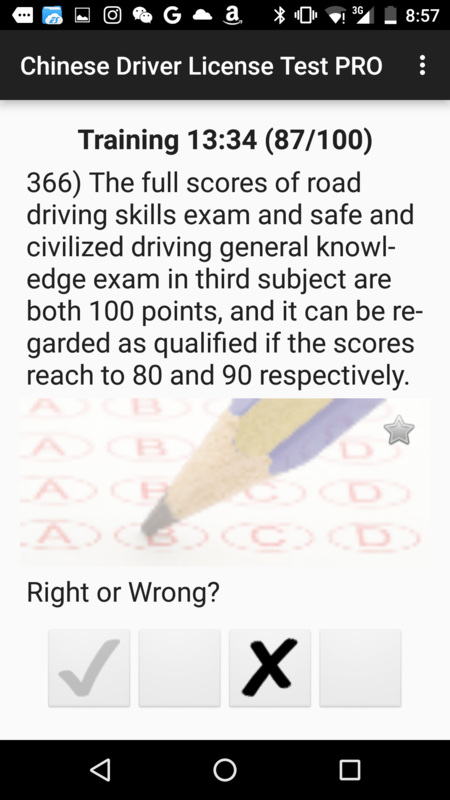 :0 But, I guess if there are 900 possible questions, you have to take the practice test a whole boatload of times before you’ve made it through all of them. Ugh. Best wishes for your studying, and I hope you get a set of super-easy questions when you actually take the test! I love this so much :)! I’ve been annoying people by reading it out loud to them. 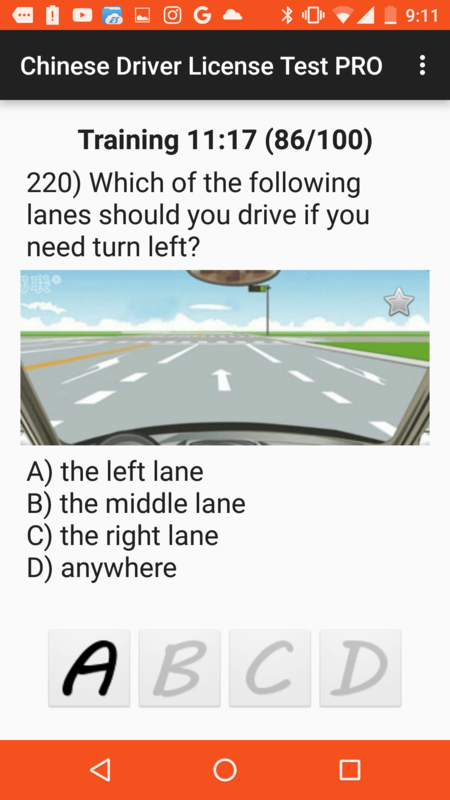 I’ve sent it to my niece who is learning to drive. Thank you Emily for all of the screen shots. 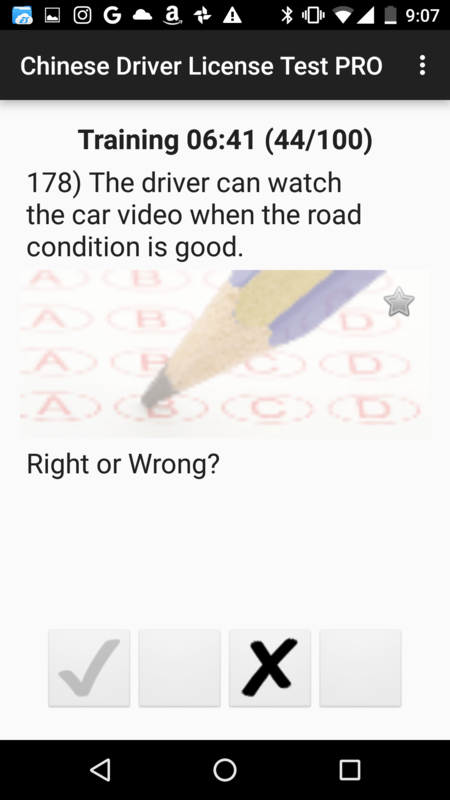 I think the answer is RIGHT!